Statistics from the National Institute on Drug Abuse offer some rather startling revelations concerning the current drug abuse epidemic in America. It is important for individuals who are struggling with a drug addiction to understand that chemical dependency is a highly complex illness that demands highly qualified medical attention. Fortunately, some chemical dependent patients have cases that are less severe than others and they are often able to benefit from Tampa weekend rehab centers that offer outpatient programs. At WhiteSands Treatment, our weekend outpatient programs are ideal for individuals who have cases of chemical dependency that allow them to be functional. If you are a person who is currently dealing with functional chemical dependency, checking into a weekend outpatient program will allow you to keep your job and sustain certain elements of your life. 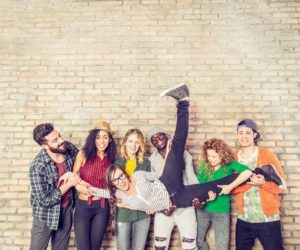 While outpatient drug rehab centers provide some significant benefits, attending outpatient treatment Tampa-based centers will not be for every person. If you have a mild case of dependency that has not completely broken down your resolve and decision-making faculties, enrolling in an outpatient addiction treatment Tampa-based program could be an ideal situation for you. However, if being exposed to your normal environment exposes you to triggers that you do not yet possess the coping skills to navigate and overcome, you could easily be setting yourself up for failure. At WhiteSands Treatment, we offer professional assessments that will allow us to determine if we will be a good fit for you. Our highly qualified staff will be able to assess all of the pertinent criteria and variables to determine what will be most efficacious in the process of working toward a complete recovery. Not all rehab and detox centers are made equal. WhiteSands Treatment has established itself among the elite drug addiction and alcohol treatment centers in the country — providing the highest quality medical care and highly innovative and personalized treatment programs. We understand that no two people are alike, meaning that attempting to apply a cookie-cutter approach to treatment will not provide the results that we demand of ourselves and our clients expect from us. The moment that you enter our facility, you will immediately sense the warmth and concern of our staff. We see you as a person who deserves the highest level of respect and care, and we are completely invested in ensuring that you get the type of care you deserve. Top-of-the-line Tampa weekend rehab centers offer patients an alternative to traditional residential treatment and quality care to their patients. During the evaluation process, we will take great care to gain insight into the type of structure and support you will be most responsive to, which will ensure that we design a treatment program that you will be highly responsive to. We will also provide a follow-up program that will help you develop the coping skills necessary to function in the day-to-day world without becoming frenetic and unglued when exposed to those triggers that initially led to you using your drug of choice. It is important for you to understand that recovery is a process that is taking place every day throughout the duration of the day, but the good news is that we are going to provide you with the support and resources that ensure that you get the most out of the outpatient services of Tampa weekend rehab centers.